We last studied the San Mateo Creek Bridge (35 0199) in 2010. It is a continuous five span steel I girder bridge that was built in 1967. There was considerable attention paid to the aesthetics of this bridge. 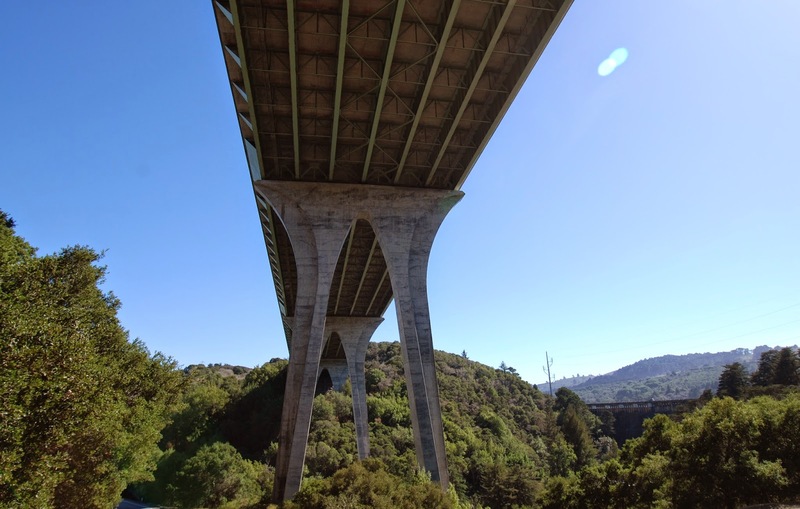 The Happy Pontist wrote in 2010 that the Italian structural engineer Pier Nervi came to California in the 1960s and worked on several bridge designs including the San Mateo Creek Bridge. Note in the figure below how Nervi designed the columns to twist 90 degrees so they are stiffer transversely at the top and stiffer longitudinally at the bottom. The bottom includes a one-way pin that allows the columns to rotate transversely while remaining fixed for longitudinal motion. Thus the columns are made stronger for the large transverse moments at the top and for the large longitudinal moments at the bottom. 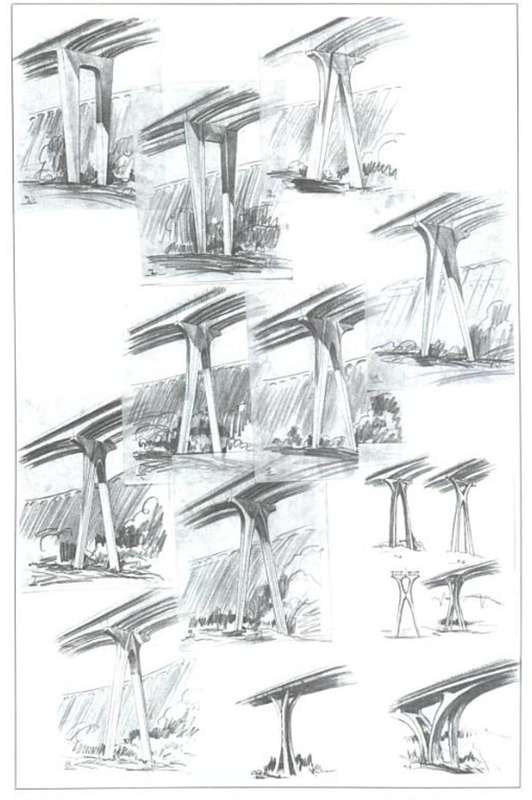 Arthur Elliott in his book 'Bridge Aesthetics around the World' showed many sketches for the design of the piers on the San Mateo Creek Bridge. 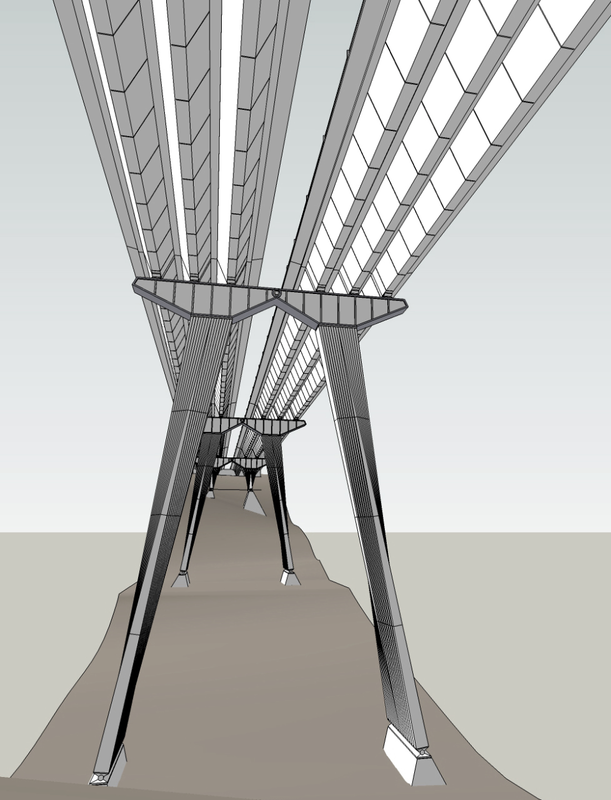 However, in most of these drawings and in the completed bridge the piers don't look sufficiently integrated to the superstructure. San Mateo County, California Bridges: State Route 280 Bridge across San Mateo Creek by Mark Yashinsky is licensed under a Creative Commons Attribution-NonCommercial-NoDerivatives 4.0 International License.